I’m a big proponent of going metric; I’ve never fully understood why we don’t just do it. Then again, I’d also like the entire world to be on UTC time. 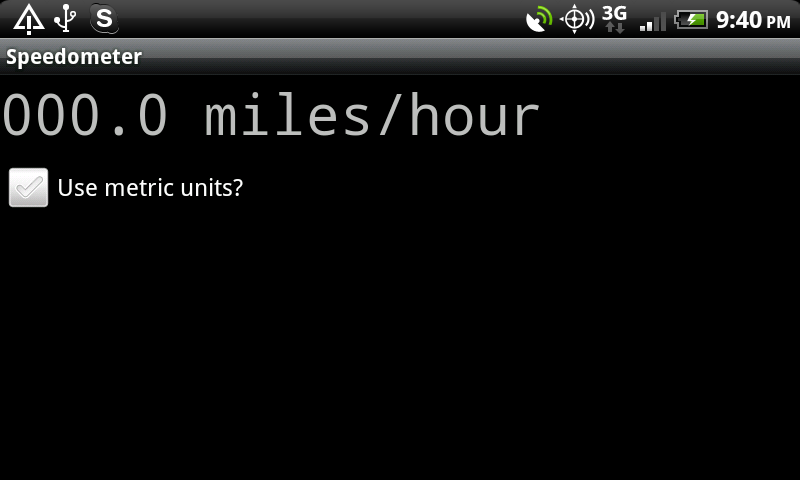 But since we insist on using our own bass-ackward units of measure, I needed an Android Location class that returned U.S. customary units instead of metric. My first leap into the Android world was the 1st generation Motorola Droid. When it was released, it was THE droid to have. I still love the phone, but when my contract was up, I couldn’t resist the call to a newer/better phone. Because I’m cheap, I upgraded to an HTC Incredible (it was free at BestBuy). A decent phone in it’s own right, but it’s last year’s technology. Even though, it’s a good bit above my old trusty droid. I wanted to hold out for Thunderbolt or Bionic, but it just didn’t happen that way. So, now that I’ve got this shiny new phone, I can be geeky with the old one. 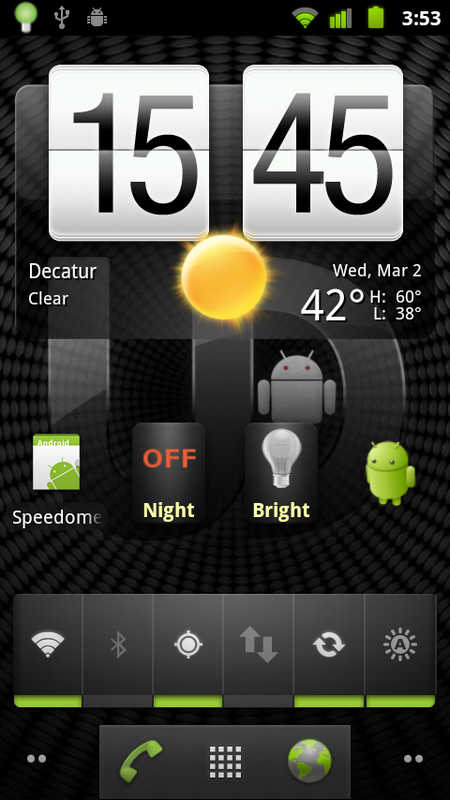 Thanks to the folks over at Ultimate Droid, I’ve got Gingerbread up and running on the old droid. I must say, it’s amazing! It’s almost making me have a few second thoughts about my upgrade. Perhaps it’s time for me to consider rooting my main phone? The new Android Market web site looks to be impressive. I’ll try again later… Good job Google. The apps I already had were not recognized as “INSTALLED”. Each app in the market will tell you whether or not it is installed or can be installed. When installing, I would get an error message telling me to try again later. Then (even with the error), the app would begin installing on my phone. But … with a bit of time (I’m guessing to sync somehow with my device). All of my apps were detected, and I am not getting error messages any more. I’m diggin’ the new market web site right now … I think mainly because I HATE using the market app on the phone.